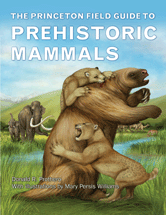 Covers all the main groups of fossil mammals, discussing taxonomy and evolutionary history, and providing concise accounts of the better-known genera and species as well as an up-to-date family tree for each group. Where Have All the Megamammals Gone? How Did Mammals Diversify after the Dinosaurs Vanished?